Head to your email inbox any weekday morning, and you’re probably accosted by a hefty handful of emails you don’t recall signing up for, don’t want, and never intend to read. Depending on your mood of the day, those emails may be instantly deleted, marked as spam, or replied to with a sarcastic note or limerick. To rescue your own inbound marketing emails from the same fate when they hit other people’s inboxes, make sure you’re not falling prey to one of these 10 mistakes. Blasting your entire email list with the same message is not the way to go. Sending out targeted emails to each segment on your list is. Inbound marketing email is not about sending out great quantities of stuff and hoping some will stick. It’s about sending out targeted, quality messages to the people who will actually want to read them. Certainly if you have a scope of services you offer you want to make sure your leads know about it - that might take the form a quarterly "What's New" email. People barely have time to read helpful emails, and they certainly won’t make time to read an email that goes on and on about how great your product, service or new haircut is. Instead of focusing on yourself, focus on the reader and what they would want to read. What problem are you solving for the reader of the email? If you can't answer that question you may want to consider not sending the email at all. People are more likely to read your emails if they feel like they’re reading something written by a real person, not a robot. Ask questions, use the second person “you,” and address the recipients by name in the salutation. If you have their company name you may also want to include that too. 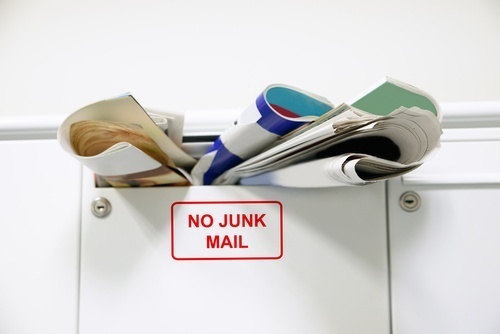 Crummy layouts, disturbing colors or images that don’t show up can designate an email straight for the trash bin. Take the time to choose an attractive email template, along with a plain text version, to accommodate different browsers and operating systems. Be sure to cross browser test the email before you send it. Remember, we live the visual Facebook and Instagram world. People browse by and respond to images. If you’re bored when you’re writing up the email, chances are the reader will be equally as bored reading it. Keep readers interested with a relevant or even funny image, an eye-catching GIF, and perky text that speaks directly to them. Emails sent for the sake of sending emails are sure to fail, for the simple fact that you don’t know if they’re working or not. Set a goal for your emails, including a designated click through rate and responses to the call-to-action you include. Then analyze your emails to see what worked and what didn’t. Remember, each email you send should be part of your overall inbound marketing plan. Grammatical faux pas, misspellings, typos and links that send the recipients off into nowhere land can nosedive an email even before it hits an inbox. Have at least two people proof and check your emails before sending. Don't forget the basic blocking and tackling of emails - like spellcheck! People are busy, and attention spans are limited. Fit the limit by keeping your email text to fewer than 200 words. Get to the point quickly, use an image to grab attention and support the point, then close with a quick CTA. Done. Make sure the sender’s name the recipients see is someone they’d trust, such as “Jane Barley, jane.barley@ourshop.com” instead of “Our Shop Team, do-not-reply@ourshop.com.” Also keep an eye on when you send out emails. You don’t want to be that creepy guy or gal who sits around sending emails at 3 a.m. If you are using HubSpot - you can schedule emails in the local time zones of your recipients. As the first thing the recipients see, your subject line can make or break your emails. Make sure it grabs the readers’ attention, supports the message, gives readers a reason to open the email, and creates a sense of urgency. “Open this now” is probably less effective than something less “Only 2 days left until….” ALSO STEER CLEAR OF USING ALL CAPS – or too many exclamation points!!! Both can kill credibility in an instant. Avoiding these common email mistakes can go a long way toward helping your emails avoid the trash bin. Your inbound marketing emails may instead be readily opened, read and even responded to with people taking you up on your call-to-action and engaging with your brand. Interested in custom email templates? Let's talk.